Distance from the Liberty Stadium: 194 miles ~ 4 hours. 4,000 Swans fans are in the upper tier of the north stand behind the goal. 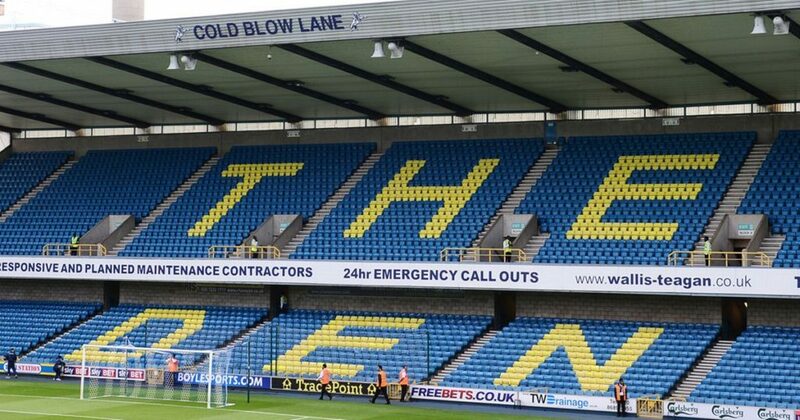 A trip to Millwall is not as bad as it once was, but it’s hardly a teddy bear’s picnic and the Den can be quite intimidating. Be careful around the ground and keep club colours hidden. Pies, cheese & onion pasties, sausage rolls, burgers and chips are sold. Tetley’s Smooth, Carlsberg and Somersby are available. What is there to do in London? Everything, from theatres to museums to concerts. If you plan on making a weekend of it and are considering taking in the latest West End show or even a tour of Wembley Stadium, then make sure you book online as these prices will be cheaper than on the day. Remember to check Discount London for money off deals on a wide variety of London attraction tickets too. There are no hotels near the Den, hotels at London Bridge are St Christopher’s at the Inn (2.9 miles away), Premier Inn Southwark (Bankside), Premier Inn Southwark (Borough) or Premier Inn Southwark (Tate Modern) all of which are 3.2 miles away. The Hotel ibis Styles Southwark Rose, which is 3.1 miles away from The Den. On the Sunday, Guitar Legends are at the Half Moon (SW15 1EU) with classic tracks from Jimi Hendrix, BB King, Carlos Santana, Dave Gilmore, Jimmy Page, Gary Moore, Stevie Ray Vaughan, Brian May, Eric Clapton and more; tickets are £12. BBC Proms are at The Albert Hall (SW7 2AP) throughout the weekend, tickets are £10-£35. Kevin Hart brings comedy to The O2 (SE10 0DX) from Saturday to Monday, tickets are £57.50-£145.50. Greenwich Peninsula (SE10 0BE) has Dinosaurs in the Wild until the Sunday; tickets start at £25 and £21.25 for kids, with family tickets from £85. An ongoing attraction is DC Exhibition: Dawn of Superheroes is at Building Six at the O2 (SE10 0DX), tickets are £10 and £5 for concessions. You really don’t want to go to pubs near the ground, London Bridge is a good place beforehand. These pubs are in this area; ‘The Shipwrights Arms’ (SE1 2TF) 2.4 miles away is a little pub which also serves food. ‘Barrow Boy & Banker’ (SE1 9QQ), a Fullers pub 3.4 miles away is a big pub with football on big screens. It serves food and decent beers and ciders. The ‘Bunch of Grapes’ (SE1 9RS) is 3.1 miles away and has a beer garden. ‘Market Porter’ (SE1 9AA) is a pub with loads of real ales on tap and a dining room upstairs; its 3.2 miles away. The ‘George Inn’ (SE1 1NH) is an amazing building run by the National Trust and dates back to medieval times. It retains its wooden flooring and wall panelling and is the last remaining galleried inn in London. It has a decent menu and is 3 miles from the stadium and well worth a visit. Street parking is on the small estate on your left just past the ground. There are no car parks around the ground. You can also choose from a selection of private car parking spaces near The Den – including on-street parking, off-street car parks and 40 reservable spaces. South Bermondsey train station is half a mile away and there’s a walkway built for away fans that goes straight to the away end. Trains leave Swansea at 08:29, 09:29 and 10:29 for the 4 hour journey, with trains back from South Bermondsey at 19:31, 20:31 and 21:31.